Home just cool Now THAT is a pile of snow! 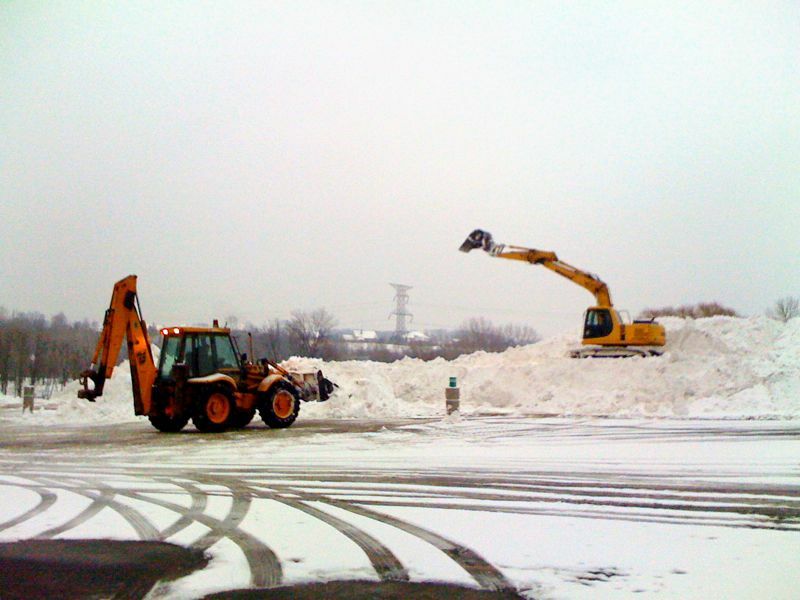 Yes, they had construction machinery moving the snow. MAN, was I jealous, that looked like so much fun! 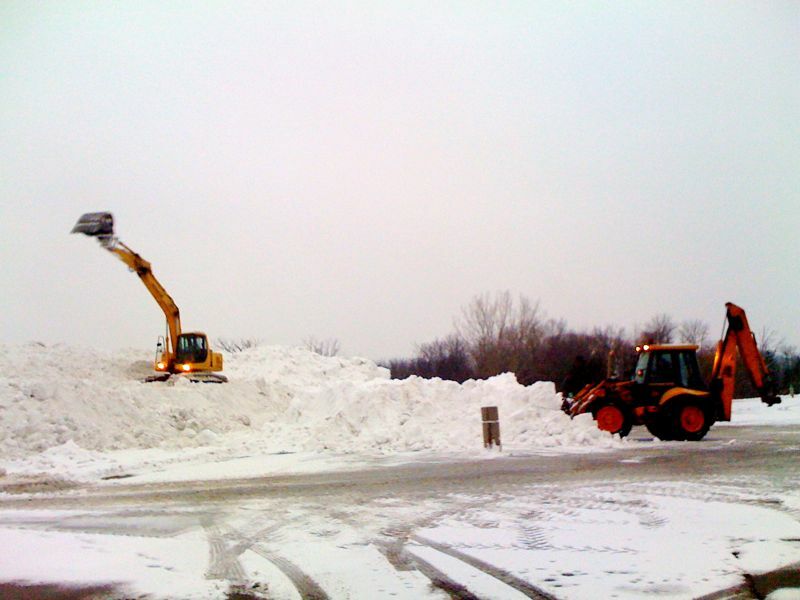 That is some serious snow removal! They take all the snow and put it in one corner next to a retention pond. 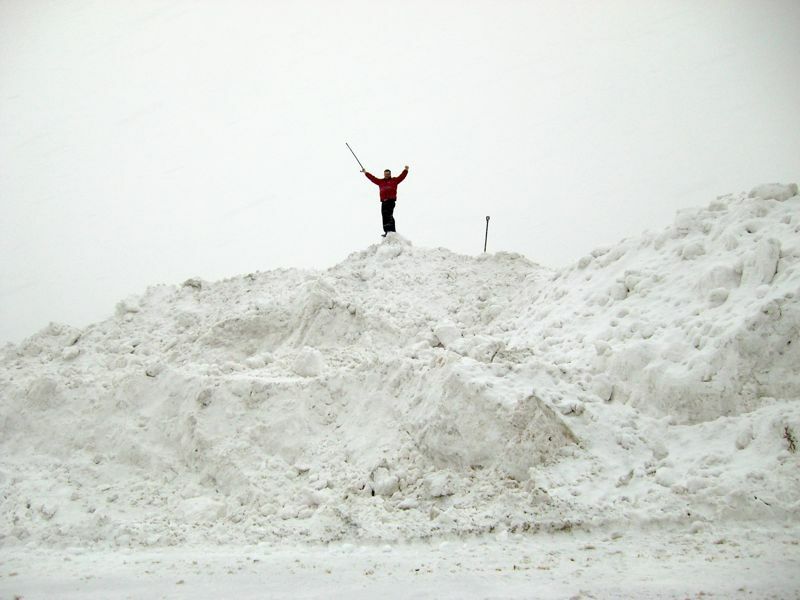 By the end of the day, the pile was HUGE! 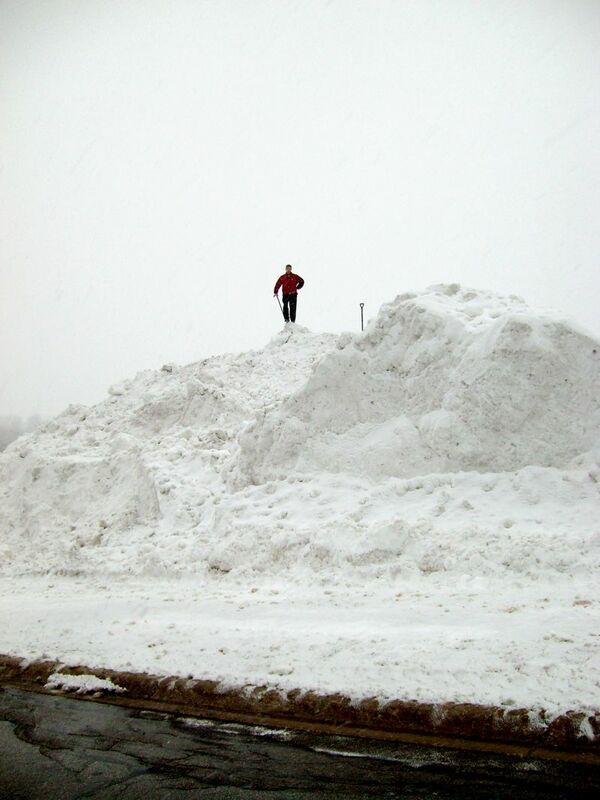 I was told that their snow pile last into July! I just HAD to see the view from up there! It was a lot bigger than it looks in these pictures, and teens were snow boarding down the other side! 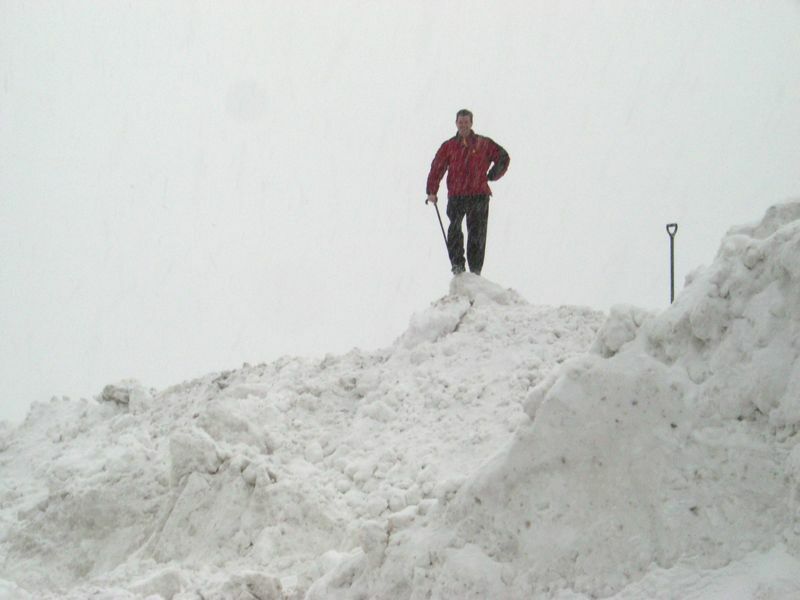 Why did I climb the mountain of snow, with a cane and a sprained ankle? A cane and sprained ankle? Now how did that happen? Hope you’re ok and healing fast.